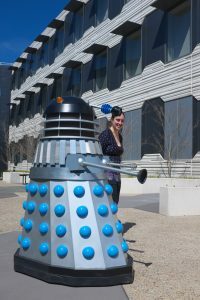 Daleks invaded campus on Wednesday, but were kind enough to let students control them. 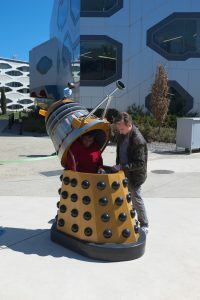 The infamous Doctor Who antagonists were brought in by the Science Communication Society. Students were able to drive them around the Chemistry Courtyard for a $5 fee. Daleks are a race of alien mutants that serve as a recurring enemy in the BBC television programme Doctor Who. Since their first appearance in 1963, their cry of “Exterminate!” has become a well-known science fiction reference. The models were created by science fiction fan Andrew Corson. He told Observer he made his first model the 1980s, as he wanted to be in the parade for the (now defunct) Canberra Festival, but “didn’t want people to see [his] face”. 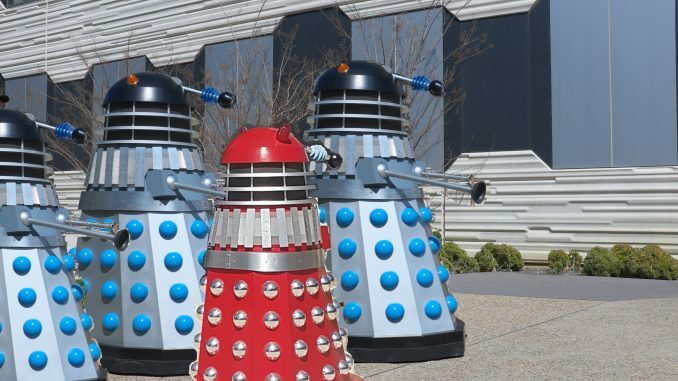 The Daleks are built around a wheelchair – drivers use pedals to move, and steer by spinning the wheels. Famous Dalek phrases also play at the touch of buttons inside the vehicle. Corson now has seven of the vehicles, including one which is remote-controlled. He told Observer it takes about a year for him to make one Dalek. Science Communication Society President Zoe Tulip told Observer the event nearly didn’t happen. It was “unbelievable”, she said, how much effort it had taken to get approval from the University’s insurance. 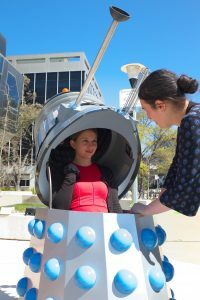 The Society had originally planned to get the Daleks in for National Science Week in August, but had to delay as they were still awaiting the insurance go-ahead. Because of this difficulty, Tulip said it may not be possible to run the event again – so students likely need not fear future extermination.